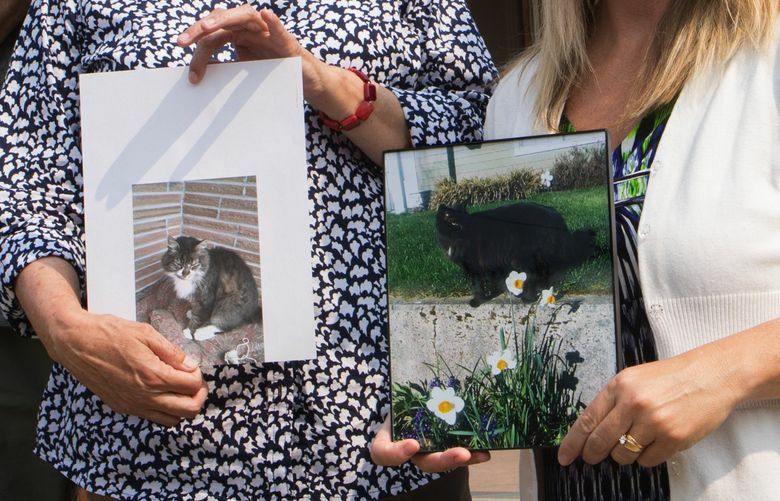 The string of cat killings, which started in February, has prompted law enforcement officials to create a task force of six investigators from several police agencies to hunt for the killer. Shortly after Thurston County’s newly formed task force focused on finding a serial cat killer met for the first time on Thursday, a 13th mutilated cat was reported to authorities. The cat was found on private property near Lacey and was seen a day earlier by a neighbor who assumed it was killed by an animal, according to Lt. Tim Rudloff, spokesman for the Thurston County Sheriff’s Office. “They hadn’t heard about the cat mutilations yet,” he said. A detective met with the cat’s owner Friday afternoon. The string of cat killings, which started in February, has prompted law-enforcement officials to assign six investigators from several police agencies to hunt for the killer. “I have a major-crimes detective and a second animal-abuse detective on this because it’s a major crime,” Rudloff said. Two sheriff’s detectives are now assisting Erika Johnson, an animal-cruelty investigator for Thurston County’s Joint Animal Services. The Olympia, Lacey and Tumwater police departments each have assigned a detective to the case. Rudloff said the task force reflects the fact that the cats have been found in all three jurisdictions, and to deal with the growing number of tips law enforcement has to evaluate. Whether it’s a tip from a neighbor or “a psychic from California,” all tips have to be checked, Rudloff said. Authorities believe the killings are related because the animals have been mutilated, some with their spines removed, and then left in public areas where they were bound to be quickly found. The reward for information about the killer has jumped from $30,000 to $36,000. Funding has come from PETA, the Humane Society of the United States and Pasado’s Safe Haven. “I’m convinced if we are going to catch this guy, it’s going to be with the help of the public,” Rudloff said. Authorities have urged cat owners to keep their cats indoors.